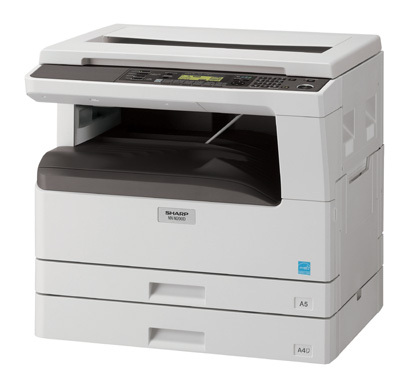 Double-sided printing and copying, colour scanning, and optional faxing and network printing: the MX-M200D A3 black and white multifunction systems pack it all into a surprisingly small package. Copying is just as fast and everyone in the team will appreciate advanced features such as the handy E-Sort feature for creating multiple sets of sorted documents without the need for a bulky page collator. A reversing single pass feeder can be specified for easier double-sided scanning and copying. A3 colour scanning capability is included as standard and, if you choose the network scanning option, you can scan documents to your PC, FTP server, or directly to an email address. Add the optional fax kit and you have a truly versatile, yet compact and affordable, all-round office multifunction system that’s ideal for your everyday document needs. The optional MX-NB10 Network Printing/Scanning Expansion Kit provides highly secure operation by restricting access to the MX-M200D on your office network. Only PCs that have either their IP address or MAC (media access control) address registered are allowed access, preventing unauthorised use.